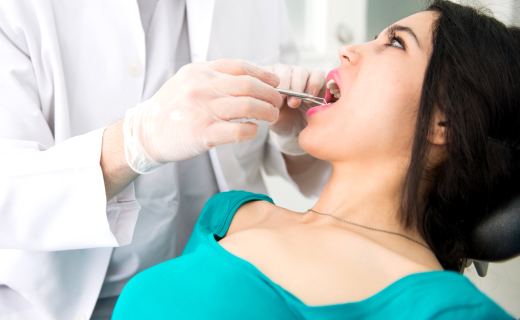 You and Your Wisdom Teeth – Are Tooth Extractions Necessary? Wisdom teeth or third molars are located in the far back corners of your mouth. They usually erupt between the ages of 17 and 21, but in many people, they’re trapped beneath gum and bone tissues and can’t come in correctly. Wisdom teeth may try to erupt at an awkward angle, and this may threaten the health of adjacent teeth. Impaction is the most common reason for wisdom teeth extractions. If you can’t see three molars in each quadrant of your mouth, you may have an impacted wisdom tooth. Impacted wisdom teeth trying to erupt may produce a feeling of pressure or dull throbbing at the back of the jaw. If an impacted tooth becomes infected, jaw or facial swelling is possible. Panoramic x-rays and other tests can verify their presence. Are Wisdom Teeth Extractions Always Necessary? If wisdom teeth are not causing any problems, tooth extractions are not necessary. Many erupt normally and can be treated the same as any other tooth. As long as the tooth can be easily brushed and flossed, it is safe to leave it in the mouth. Extraction is usually recommended if the tooth has partially erupted and is a source of inflammation or infection. The soft-tissue growth that covers a partially erupted wisdom tooth may become infected when bacteria find their way beneath it. Another reason for removing a wisdom tooth is poor positioning, which may result in periodontal pockets, tooth crowding, or receding gums. If gum tissue covering wisdom teeth causes symptoms, it can be modified without extracting the tooth. If you have an intact wisdom tooth, you may need to change the angle when you brush or floss more frequently to get the best results. Consult an affordable dentist to evaluate and manage or extract wisdom teeth. Maintains the “Gold” standard in preventive dental care. The staff and dentists are very professional. Dr. Miller is very personable and makes you feel very comfortable. My hygienist Masam, was very friendly and did a great job cleaning my teeth. The clinic was professional and efficient for what I needed them to do. Great people and nice job , very dedicated Thanks Dr khosravi and cesar Lemus. I had a great experience getting my teeth cleaned by Dr. Z and Rhea. They were very patient, friendly and professional!